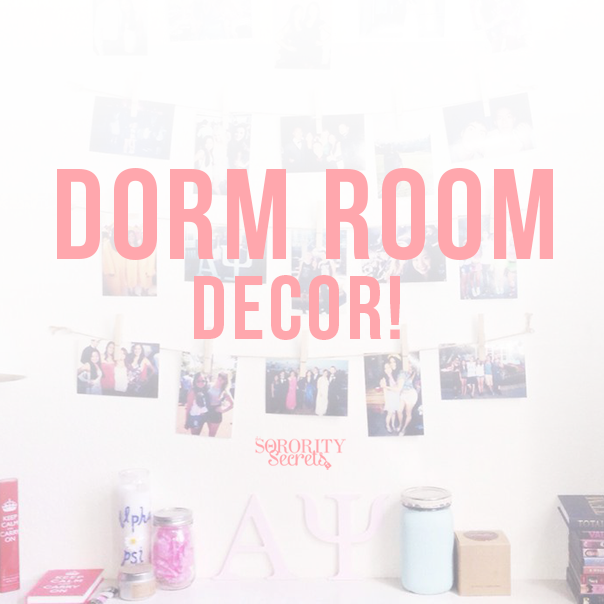 Decorating your dorm room is probably the highlight of every college girl, sorority girl or not! If you're obsessive like we were, then you're probably not ashamed to admit that you probably started a Pinterest board of all of your must-have dorm room decor items. We are a sucker for Target because they have the absolute best, most trendy affordable room decor. 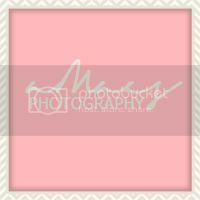 How cute is this chevron rug they have available? It is the perfect focal point for your dorm room and you can contrast it with bold bright colored wall art like this fun yarn art from Nordstrom. Speaking of Nordstrom, they have an awesome home decor section! We have pulled some of our favorite home decor pieces for you to shop so find them above. Good luck! When Karen first moved into her apartment she was pretty apprehensive about applying paint to the walls. 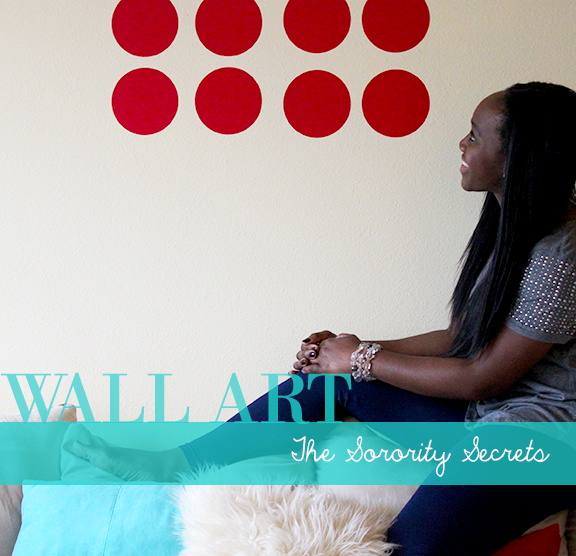 The fees and time involved in painting an accent wall seemed to outweigh the idea of spicing up her living room. Who would want to leave their walls plain jane though? Karen then came across a temporary, yet stylish solution: wall decals. 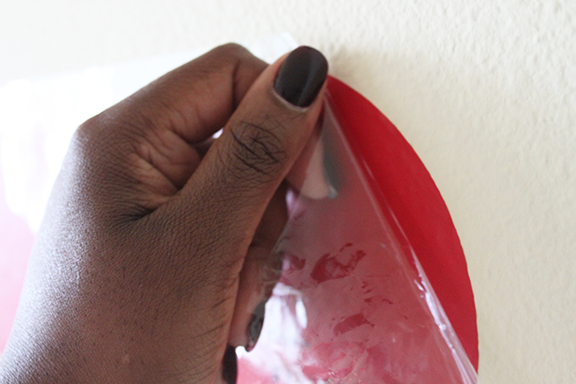 After searching high and low, she got her wall decals from Blik. The wall decal was so easy to apply! 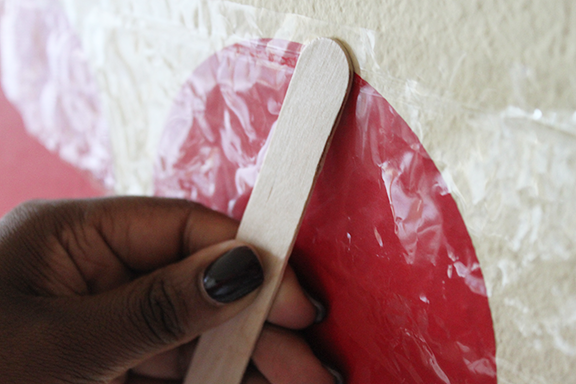 All she needed to do was place the red circles where she wanted, press them into the wall, and then peel off the sticky adhesive. We love how the wall decal creates an interesting focal point for her living room for a fraction of the cost to paint it. Blik isn't the only store where you can find wall decals; we also found them here at Target for other parts of her apartment! Just figure out what pattern you like and stick away!